And so we come to the end of February. We have covered quite a few different comics this month, some with a Valentines theme and some that tie in to LGBT History Month. 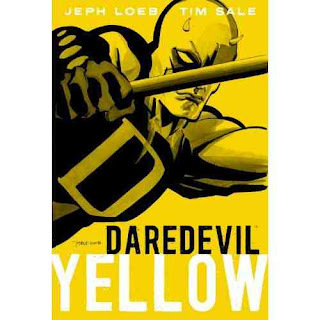 For all you old romantics we've featured a nostalgic look at the romantic past of Marvel hero Daredevil, an American High School comedy (without the rose tinted glasses) in the guise of Blue Monday, more superheroics from DC's premier supercouple in Superman: Unconventional Warfare, and lastly, Shakespeare's Twelfth Night, reinterpreted into a manga comic. 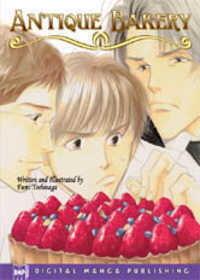 For those of you interested in books with LGBT characters, we've covered a cooking manga in Antique Bakery, a webcomic called Fans where a university sci-fi club has the know how to survive in a new sci-fi world, a chapter of Neil Gaiman's long running Sandman series, and finally, our first non-webcomic book with a trans character - Halo Jones. Remember if you want to see what other themed books we've covered, please look at the labels below this post, or click here for romance books and here for LGBT books. Thank you all for reading, and please leave comments if you've got any feedback! “Where did she go? Out. What did she do? 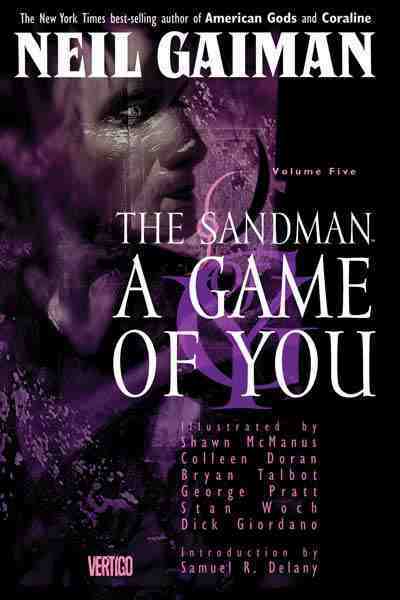 Everything...” That Alan Moore, he knows how to write a tagline, I'll give him that. Also billed as 2000AD's “classic feminist space opera” this book follows the adventures of one Halo Jones from the depths of the Hoop, a ghetto for the unemployed of a future Earth, and out into space. As is pointed out more than once she's no one special but on her travels she'll become involved in spectacular events and a war that defies the laws of physics. 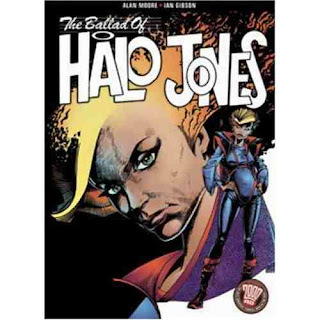 This book collects all three serials of Alan Moore and Ian Gibson's The Ballad Of Halo Jones. Recently divorced, Barbie has moved to New York and now lives in a small, rundown apartment building. There she is part of a Tales Of The City-esque community of fellow renters: her best friend Wanda, secretive Thessaly, troubled couple Hazel and Foxglove and the downright creepy George. Broke and single, Barbie drifts with no particular direction in life. Its a simple life, if a trifle dull. As a child she had a series of recurring dreams, a story that unfolded night after night. The dreams ended years ago but now they're back: the characters of her dreams have come to New York to find her. 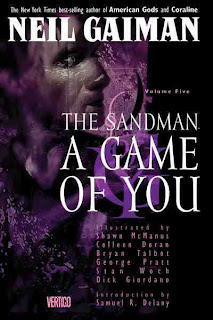 She has a world to save and there are forces out to stop her, even kill her. But is this other world real? And can you die in your dreams? “We didn't ask the sky to open. We didn't ask time and space and magic to warp and crack and spit out unknown enemies... But while you were calling these enemies “impossible” and “unimaginable”, we were ready. Because we had imagined. And we can tell you now, now that you'll believe us, that the weird is real. The future is here. The wide world yonder is capable of things you won't believe. In the dark and terrible city of Bete Noire, in a booth at the back of Dolf's bar sits a woman dressed all in red, a woman people call the Fallen Angel. People come to the bar to talk to her, to tell her their problems. Sometimes she helps them, sometimes she tells them to go to hell and sometimes they wish she hadn't agreed to help them. Surrounded by a city of criminals and moral corruption the Fallen Angel is still finding her place in the world. 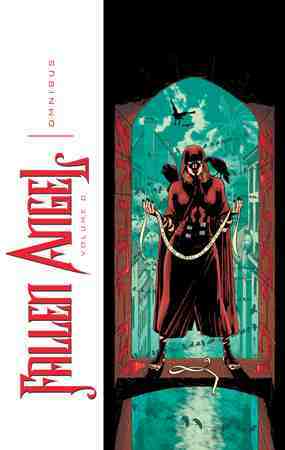 Fallen Angel was a series launched by DC Comics as part of an initiative to create new comics with female leads. The series was praised as inventive, creative and unpredictable... by the critics. Sadly the readers at the time weren't as willing to try something new as DC hoped and after twenty issues the series was cancelled. Years later Peter David was invited to continue the series with a new company, IDW, who have now published the full DC run for the first time ever in a handsome omnibus edition. 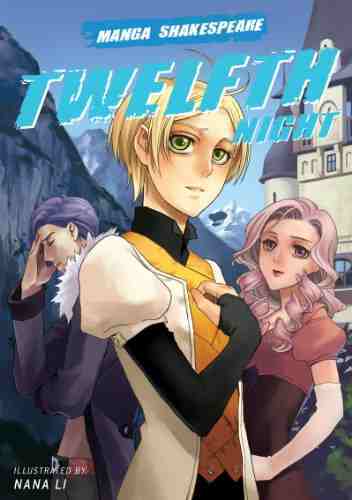 Off the coast of Illyria two twins, Viola and Sebastian, are separated following a violent shipwreck. Believing her brother dead Viola washes up on the shores of Illyria penniless and alone. Disguising herself as a boy she enters the service of the Count Orsino who proceeds to use “him” to ferry messages of love to the Countess Olivia. The countess promptly falls in love with Viola, now known as Cesario. 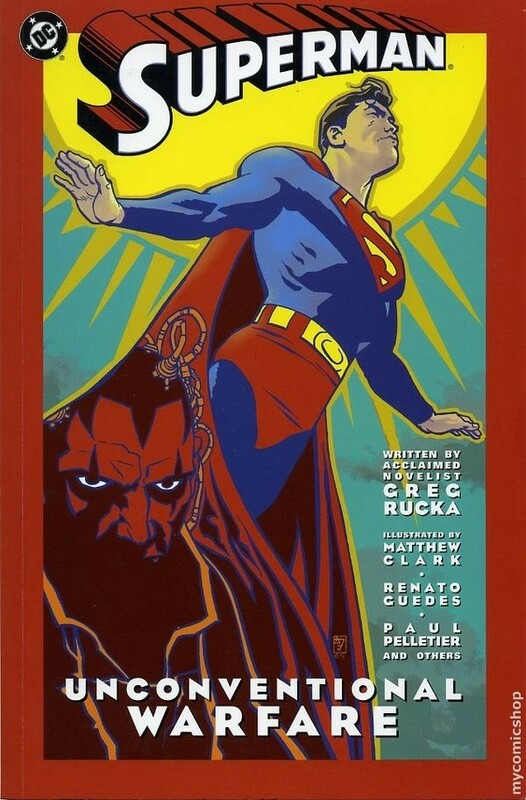 This book really focuses on Lois and Clark/Superman’s careers and the way in which their careers impact on their relationship. It’s a love story between people who have the deepest respect for and devotion to each other, but who also have lives outside of each other. An old antique shop reopens as a bakery. A surprising selection of characters staff the shop, some unlikely coincidences take place and some delicious cakes and pastries get baked. Nico Hayashi is girl with a part-time job: she works for a phone dating scam, acting innocent and enticing on the phone to keep men talking long enough to run up huge bills. She wants to be a spy when she grows up (or maybe a fortune teller) and she uses her after-school job to hone her skills in reading people's character from what they say and how they say it. One day she's plying her trade in a corner booth of a local diner when the old man sitting behind her asks her for a consultation on a phone message that has been brought to his attention, a recording of a kidnapper's demands. Thus Nico begins a new career as a detective consulting on cases for the old man. 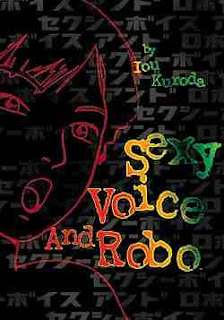 Aided by her sidekick (and former scam victim) Iichiro Sudo she is about to embark on an intense education in the dark side of human nature. Blue Monday is an American high school comedy without the rose-tinted glasses. Its the early 1990s and Blue L. Finnegan lives in a world of teacher crushes, pig-headed boys, annoying girlfriends and nothing to do of an evening, the typical teenage experience. Suddenly, excitement enters her life when her idol Adam Ant announces a gig in her area. The gig sells out instantly but with single-minded determination Blue decides she is attending and that she'll get tickets somehow. Antics ensue. 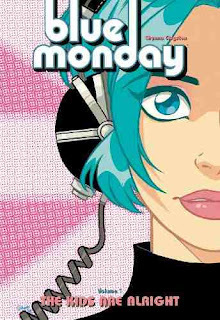 The Kids Are Alright collects the first Blue Monday series as well as an extensive collection of additional short comics. Daredevil: Yellow is a bitter-sweet romantic comedy. Matt Murdoch, the hero known as Daredevil, is in mourning. Karen Page, the love of his life, is dead. He needs to express his feelings and so his best friend comes up with a solution: he should write her a letter about how he feels. So Matt writes about their past, about two young lawyers who set up their own practice in New York and about the secretary they both loved, about the hero Murdoch was only just becoming and the battles that defined all their relationships.